Where have you been schooled to constructively utilize, neutralize, command or harmonize with your passions, emotions, instincts, dispositions, feelings, moods and habits of idea and action? 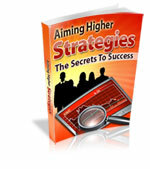 Have you been instructed how to aim high and accomplish your goals irrespective of the obstacles? If your answer is "No." You'll be taught these things if you read and then apply the precepts in this book.